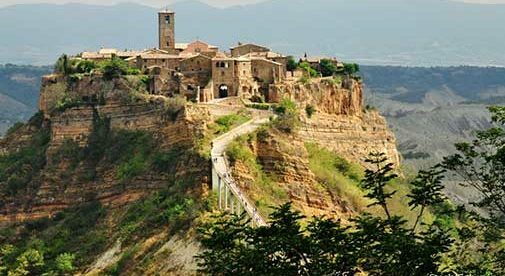 The town of Civita di Bagnoregio is just one of the many hidden gems you'll find when exploring Italy. 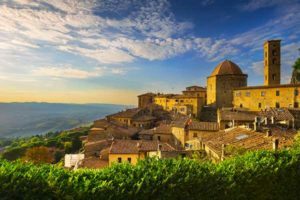 My enchantment with Italy was sparked on my first visit, as it has happened for so many travelers to this romantic land. It wasn’t a flirtation or a fleeting attraction, but a visceral, soul-stirring amore, a sense of destiny. There are so many reasons to love Italy. Maybe it was a throwback to the deep recesses of my childhood memories—the sound of my nana’s lilting voice, the smells from her kitchen, the sense of familial ties that somehow died when she did. But even on that first two-week trip, there was a sense of belonging, an enticing display of simple pleasures and the zest of daily life that struck a chord. Before I’d even boarded the flight home, I had already started dreaming of living there. Ten years on and I’m still enamored with all the beautiful and fascinating things that Italy offers. I still feel giddy as I wander the remains of ancient civilizations. Still feel awe at standing before priceless artworks that are found practically everywhere you look. I still take great pleasure in my morning cappuccino, and still gleefully run to embrace the turquoise waters of the Mediterranean each summer. In short, 10 years into this love affair, the honeymoon ain’t over. Here’s why Italy keeps me hooked, and why it will capture your heart, too. I love living in a place that bears marks of ancient cultures, even predating the Romans. Add in every epoch since then—from the Middle Ages, to the Renaissance, the monarchies, city-states, and feudal lords that came and went—and there’s no end of fascinating historical sights to see and learn from. My house is about 300 years old, and that’s relatively new by most hill-town standards. Italians really dwell in their history. 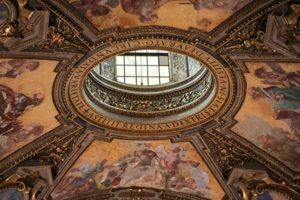 Italian culture has left indelible marks on all of Western civilization—names like Machiavelli, Palladio, Bernini, Michelangelo, Marconi, Brunelleschi, Da Vinci, Galileo, to mention only a few whose influence touched the world. 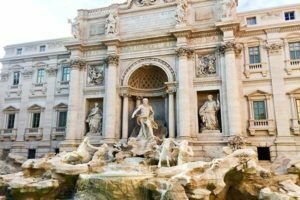 From the Ancient Roman innovations of aqueducts and road-building, to the ground-breaking styles of the Renaissance, to the worlds of music, fashion, and film, Italian culture is well-recognized and appreciated. There are more UNESCO World Heritage sites here than anywhere else in the world, so that tells you something. I love the time-worn hill towns that ooze character and I never tire of wandering through them to soak in the ambiance. The bells that toll out the time, as well as births and deaths; the cobbled streets; the palazzi (palaces) and stone-built town homes and the sunny piazzas, they all create a distinctly alluring sense of place. Even our little village has centuries-old festas and traditions that are still being observed as they have been for generations. 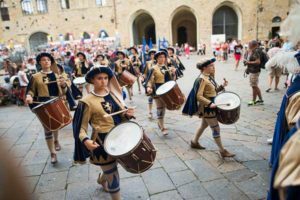 All around Italy, there are rollicking races and home-spun food festivals, palio (historical athletic contests) events carried on since the Middle Ages, and ancient pagan rites that mingle with patron saints’ days. We’ve danced around a winter bonfire, been sprayed with sparks from a whirling fireworks rite, chased a fake bull, sampled new wine from the barrels, and enjoyed many other time-honored rituals and traditions that make life so fun and interesting here. I don’t know about you, but a culture that closes down for a leisurely lunch and siesta sure squared well with me. There is a relaxed rhythm to daily life, at least outside the main cities. Not that Italians don’t work, but they tend to balance it well. There is emphasis on social interaction, on meeting in the piazza, and enjoying time with friends. 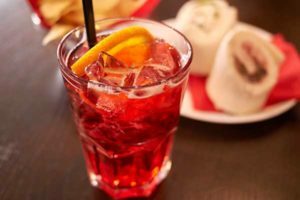 Extended families still gather for Sunday lunch together, and simple pleasures like a walk or an aperitivo are relished and savored. It’s life on a human scale, and we settled into that very easily. We’ve been welcomed, embraced and made to feel like a part of the town’s fabric. 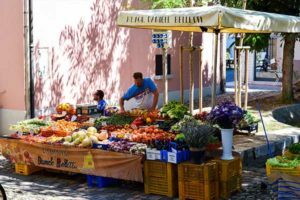 Italians generally feel a pride of place and are eager to share it with newcomers. 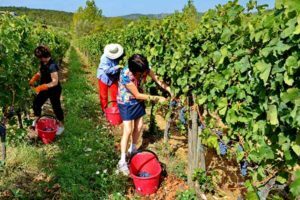 It’s not hard to find yourself involved in festivals and helping neighbors with the grape harvest or annual tomato sauce canning. It didn’t take long for people to consider us part of the community. Italian food is epic. It’s renowned and healthy and just downright delicious. I’ve never met a person who doesn’t love Italian cuisine. It’s seasonal, and regional, which means we never get bored with it. The dishes found in our region of Basilicata differ from the specialties of Rome, for instance, so wherever we travel, we find new flavors and dishes to try. Ditto for the wines, with heritage varietals that just happen to pair perfectly with each area’s foods.